﻿ Sooi-Tee Guest House 2, Pattaya | FROM $24 - SAVE ON AGODA! "Good breakfast.very clean like star hotel." Have a question for Sooi-Tee Guest House 2? 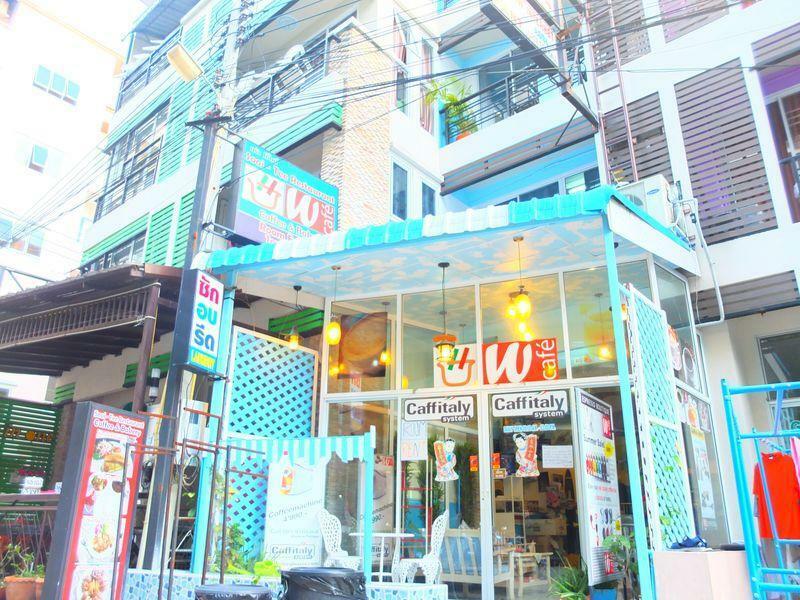 Nestled in the heart of Central Pattaya, Sooi-Tee Guest House 2 is an ideal spot from which to discover Pattaya. From here, guests can enjoy easy access to all that the lively city has to offer. Visitors to the hotel can take pleasure in touring the city's top attractions: Tony's Gym, Witherspoons, International Gym. Take advantage of a wealth of unrivaled services and amenities at this Pattaya hotel. The hotel provides free Wi-Fi in all rooms, Wi-Fi in public areas, airport transfer, restaurant, tours to ensure our guests the greatest comfort. Step into one of 6 inviting rooms and escape the stresses of the day with a wide range of amenities such as television LCD/plasma screen, internet access – wireless, internet access – wireless (complimentary), air conditioning, desk which can be found in some rooms. Besides, the hotel's host of recreational offerings ensures you have plenty to do during your stay. Enjoy unparalleled services and a truly prestigious address at the Sooi-Tee Guest House 2. Very nice care taker. Helpfull .i see big smile all way. Good breakfast.very clean like star hotel. I fill like with my family. This stay was unusually poor. I have stayed at this location several times in the past. Normally this is my "go to" guest hotel but the toilet in my room was not properly working and did not get corrected until my final evening. One staff/owner was very rude and when I asked to change rooms was denied claiming they were fully booked which they were not. When the staff does not tell the truth you lose confidence in their sincerity to accommodate the customer. Very disappointed this trip. Sooi-Tee Guest House is a small and friendly place. Notably clean. A nice breakfast with both Western and Thai choices on the menu. I want to extend my thanks to the hard working, friendly staff who made this a very enjoyable stay for me. I will stay here again on my next trip. A small, baseic, but good guest house, this was just what I was looking for: - Great value for money. Rooms are basic but have all the essentials - Quiet location but 5 min walk from the action. Also motorcycle taxis just outside - guest friendly - air conditioning and safety box in room This place is owned and run by two chinese sisters. They are always around to speak to if you need anything. Facilities at reception include international calls (e.g. 10 baht per minute to USA) and a travel agent so they can help you with airport transfers, travel to other parts of thailand, or trips to the islands etc. It was okay for the price paid. No Frills, but good location and comfortable enough. location, nice rooms & cheap. 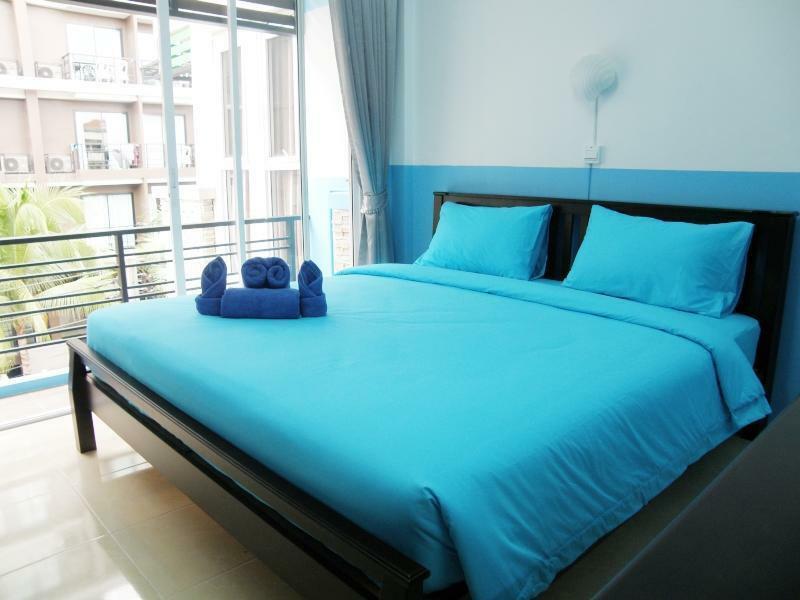 Nice Guesthouse, big rooms, clean, friendly staff, centrally located & cheap. Good choice of variety with local restaurants,good quality room for price,middle of Pattaya good location. Very good rooms for price well located in central Pattaya many restaurants and bars in walking distance only downside was internet on the rear block of the guesthouse stopped working after a few days and despite complaining to staff several times never got restored whilst I was there but that aside highly recommend. On the first day,there is some connectivity problems with the wifi. The staff who took me to the room was unfriendly and seldom acknowledge your gesture. The stairs to the room was very steep and I have difficulties climbing it with your luggage n hand. There are other better value for money in the area. Great, first of all Sooi Tee should rename themselves as Sooi-Tee Homestay. I felt like I was staying in someone's house and not in a guest house/hotel. Throughout the 1 week I was in Pattaya, I tasted many tom yum but Sooi Tee's is the undisputed no. 1! Their cooking is very above average and very reasonably priced. Their food is like home cooked. Everthing is prepared from scratch, just like mum's cooking back home. Would definitley stay there again. Keep up the good work Sooi Tee. Cheers! No complaints. For what we paid this place was paradise. Wouldn't recommend staying in Pattaya for more than a few days though, unless you're really into the seedy nightlife scene. It's worth seeing but a bit overwhelming with all the clubs, parlours, and hookers. But if you do go, I definitely recommend staying here. It's very worth it. Very enjoyable. Good value. Would stay there again. Other than a slight error with check in times, (I was unable to check in until 10pm, due to another customer checking out late), it was a great place to stay. Nicely decorated large rooms with good quality furniture. Location means a lot when travelling, so you won't be disappointed with where this hotel is located. The place is pretty much brand new. Although this place is above a travel agency, which you have to walk through to get to your room, it is one of the better cheap places I have stayed in Pattaya. It is new, the staff are awesome, and the the location is great. I will stay there again. Schlichtes, älteres renoviertes Guesthouse. Technisch und sicherheittechnisch gut ausgestattet. Zimmerzugang, gebäudebedingt ziemlich verwinkeld; Zimmer aber ok, sauber. Preis vor Ort günstiger als über Reservierung. Jede Menge alternativen in Nachbarschaft und Umgebung.Personal bemüht zu helfen, aber kaum englischkenntisse; wenn mehr als zwei Gäste frühstücken ist das Personal überfordert...Ladylike, kein Problem... Strasse heisst Lenky 1.